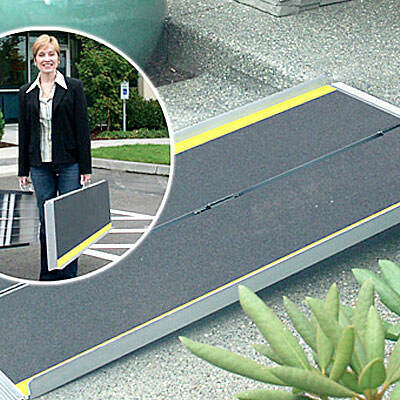 EZ Access advantage series suitcase ramp comes with its single fold design. 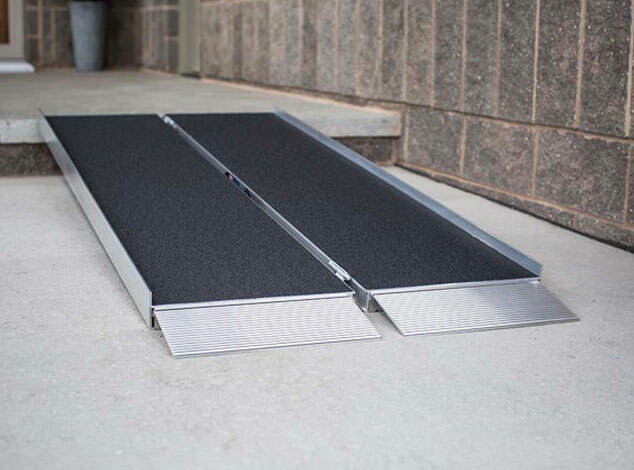 Advantage series suitcase ramp offers a simple and convenient solution for wheelchairs and scooters to access steps, vehicles, and raised landings with ease. 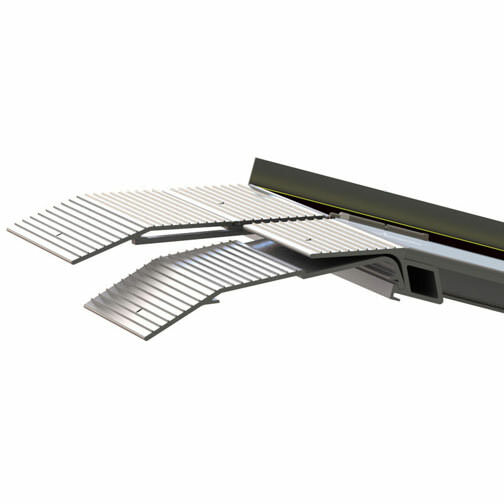 Advantage series suitcase ramp is ultra-strong ramp. It gives safety and strength required while remaining light and portable. 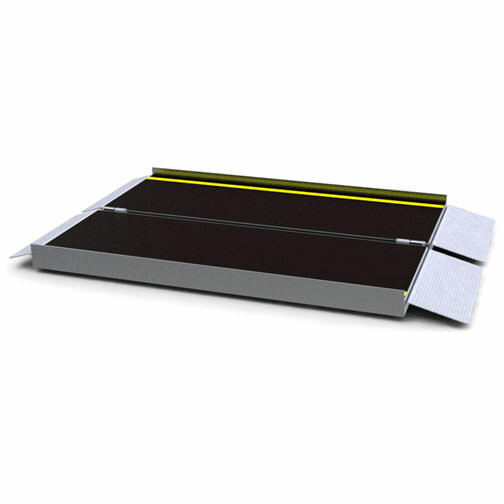 Advantage series suitcase ramp features high-quality skid-resistant tape with yellow safety strips and a self-adjusting bottom transition plate for easy conversion from ramp to ground. 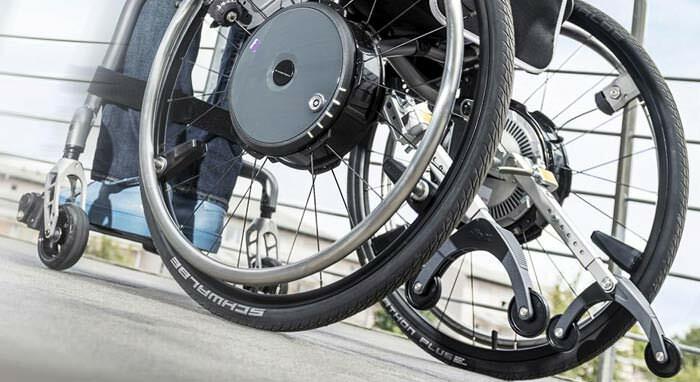 EZ Access advantage series suitcase ramp can be separated in two parts and each part can be handled with their own carrying handles that makes it even easier to use, carry, and store. 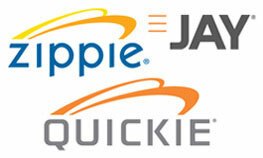 Advantage series suitcase ramp unfolds to a 29" wide platform. 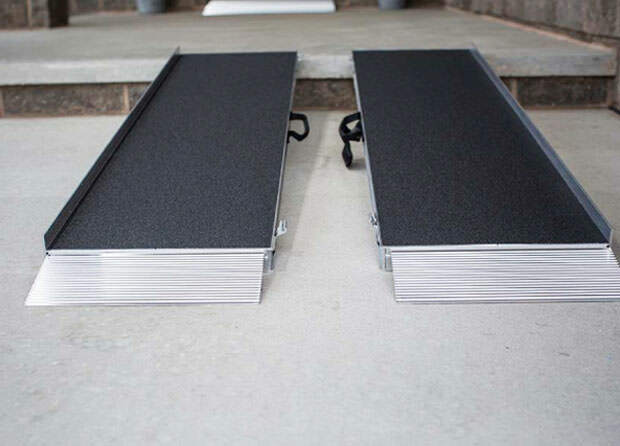 Advantage series suitcase ramp is single-fold aluminum ramps for scooters and all wheelchair types. Advantage series suitcase ramps are available in five sizes and designed to bridge the gap over steps, curbs, and raised landings as well as some mini vans end or side entrances. Weight* 12 lbs. 16 lbs. 20 lbs. 26 lbs. 30 lbs.